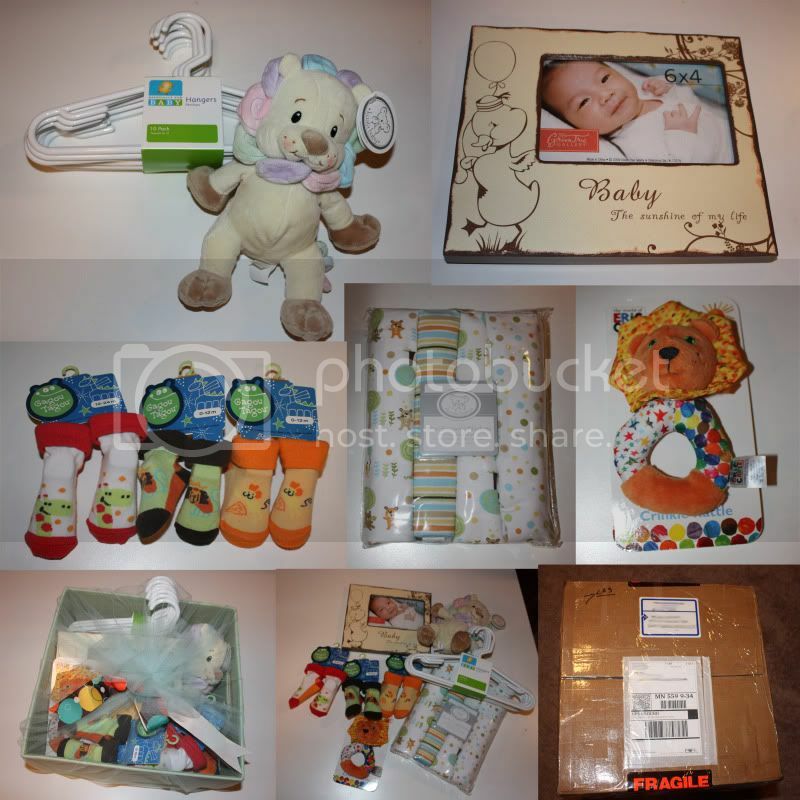 The time is here to brag about your package that you received during the baby blog swap. 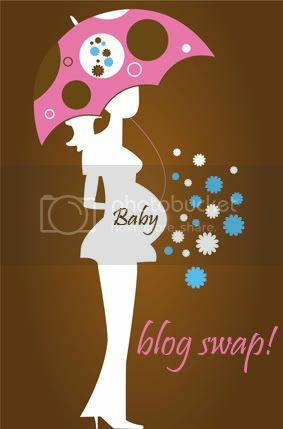 Thanks to everyone who made my first blog swap run so smoothly!! I had Melissa from IVF Infertility. She is a new mommy to a handsome little baby boy Cooper. She was a great partner and knew me pretty well, to send me all stuff that I love! An adorable Lion stuffed animal that has a rattle in it. Some more hangers, cause she must know that I go through them like crazy. Some new receiving blankets, so that this baby will keep warm in the frozen tundra. A lion Rattle toy. 3 pair of adorable socks with cute animals on them. An adorable picture frame, that I can't wait to put a picture of the baby in. A sea green bin, cause she must know how organized I am and how much I LOVE bins. Thanks so much Melissa, I love it all! Now it's your turn to share...link up below to show us what you got! My box to Brandi is going to be a bit late. For one, I was a day late in sending it, and for two, apparently, there is something in there that requires ground travel rather than air travel! I'm so glad you got it and liked it. Your package was fabulous! I loved everything in it. Unfortunatley I took it completely apart and put it all away the first day I got home from the hospital and could go find it all and take pics but things have been crazy around my house so it might take a little while. I'll get to it though. I nominated you for a blog award. Come to my blog and check it out!! !